On behalf of the Organizing Committee, it is my pleasure to welcome you to NCC 2014 - the leading national conference on communications, signal processing, and networks. This is the twentieth edition of this annual conference and we are privileged to host it at the Indian Institute of Technology Kanpur where the first NCC was held in 1995. NCC 2014 consists of 27 oral sessions, 1 poster session, 6 plenary talks, 6 tutorials and a best paper contest. We would like to thank our authors, reviewers, session chairs, plenary and tutorial speakers. The success of NCC 2014 would have been impossible without their great contribution. I feel blessed to be part of a truly dedicated team of colleagues on the Local Organizing Committee lead by the indefatigable Adrish Banerjee.This conference is an exemplary demonstration of his leadership skills and his deep commitment to NCC. He was ably supported and advised by equally committed colleagues Ketan Rajawat and Aditya Jagannatham. On behalf of the Steering Committee of NCC, I would like to thank them for their tireless efforts and hard work in putting together an outstanding technical program, handling publication related issues, and for assistance with all local arrangements including website maintenance and financial issues. During the entire review process, support from a large number of graduate students and some colleagues from the EE department at IIT Kanpur notably Rajesh Hegde, KS Venkatesh, Jaleel Akhtar, KV Srivastava and AR Harish needs special mention. NCC 2014 is being held on the campus of Indian Institute of Technology Kanpur (IITK). We owe our sincere gratitude to IITK’s and the Department of EE's generous support including access to the various facilities as well the tremendous help in a variety of operations such as providing accommodation to all the participants of NCC 2014. We are indebted to several staff members of Visitors' Hostel, Outreach auditorium, Main auditorium and Lecture Hall Complex, without their excellent support the conference would not have been possible. An event of this size needs the strong support of sponsors. 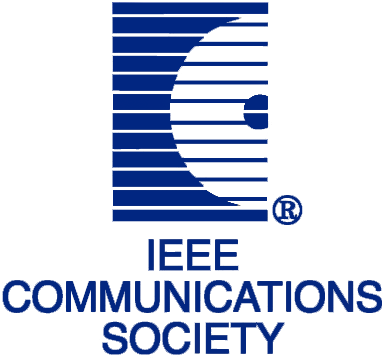 We are grateful to our technical sponsors IEEE Communications Society as well as our Gold, Silver and Bronze sponsors for supporting NCC 2014 wholeheartedly. We hope you will find the technical sessions useful and exciting, the cultural program soothing and Kanpur cuisine to your liking. Enjoy your stay at IITK! It is our pleasure to welcome you to The Twentieth National Conference on Communications (NCC), which is being held at the Indian Institute of Technology Kanpur. NCC has been growing in size and reputation and has become a very selective venue for research publications in the areas of communications, networks, and signal processing. For the first time in the history of NCC, the number of initial submissions has crossed 500. Of these, about 33% were submitted in Signal Processing track, 42% in the Communications track, and 25% in the Networks track. 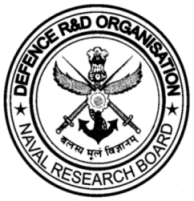 These included submissions from IISc Bangalore, and all but one of the IITs, and about 69% of the total submissions were from other academic institutions in India and abroad, central research institutions, and industry. On average, each submitted paper had 3.7 reviews with no paper getting less than 2 reviews except those which were either out of scope or had high similarity with already published works. After significant deliberations, 150 of the submitted papers were selected for either oral or poster presentations; resulting in an overall acceptance ratio of 30%. In this process, we were helped by over 140 TPC members and over 500 different reviewers. The accepted papers are arranged into 27 technical sessions and a poster session to be held on 1st and 2nd March. In addition to these regular papers, NCC 2014 features 6 plenary talks by eminent speakers, and a full day of interactive tutorials on 28th Feb. Given the recent excitement regarding the approval of Telecom Standards Development Society of India by Government of India and its registration as a society, the second day of the conference also features a panel discussion on the future of Telecom Standards related activity in India. We are thankful to the authors for submitting their research work for presentation in this conference. We are especially grateful to our TPC members and reviewers for their insightful reviews that allowed us to finalize the technical program in time. We are also thankful to the army of student volunteers from IIT Kanpur, who very efficiently handled the conference submission website EDAS and the NCC website. It was a privilege to work with all of them. Finally, we are thankful to our technical co-sponsors, IEEE Communications Society, and IEEE UP Section. We hope you have an enriching and exciting time at the NCC 2014.